Making sure you have the right Tomball Air Conditioning Service Repair resources can really be tough at times. 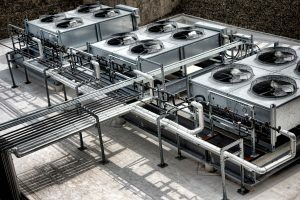 Your air conditioning and heating units aren’t exactly simple. You’re going to need the right resources when you want to renovate them. Do you think it’s time to have a professional technician look at your system and see what could be done better? If you’re ready to learn more about our services, keep on reading to find out info on Houston Admiral Services. As we all know, there are an unlimited number to things that can go wrong with your air conditioners. These are very complex systems that are going to need a lot of maintenance and inspections if you want them to stay in good shape. While you may not understand what you should do to overcome this, know that our team of professionals are here to provide assistance. Repairs, replacements, and inspections aren’t the only things we can handle for you, though. Are you someone who’s having an emergency situation regarding your air conditioning unit? If you’re working in a warehouse during a night shift and your heating goes out, it could affect your business. After all, your warehouse contractors don’t want to perform their labor in a freezing environment. If you’re ready to get this fixed and repaired, know that our team here at Houston admiral Services can help you. Make sure you take a look at the emergency services we offer our customers. We understand that you never know when you have heating and cooling problems that need to be addressed. Our team realizes that that people never know when their heating and cooling is on the verge of breaking and going out for good. If you want someone to help you with your unexpected repairs and replacements, call in our team. We’re proud to offer our valued customers emergency services that are available 24 hours a day, 7 days a week. If you can’t wait, we completely understand. When someone’s air conditioning goes out in the middle of a hot summer day in Tomball, you may not know what to do. Is your family ill-equipped to handle 100+ degree weather? Maybe you’ve spent cold nights in January without heating appliances and you want to make sure yours is in great condition before the extreme weather begins. If you’re trying to find a company that can provide you with timely emergency repairs as well as maintenance, Houston Admiral Services is the place to be. Wouldn’t you like to be able to prevent most of your costly repairs from ever happening? Maybe you’re trying to find out what you should do to make sure you’ve got the right maintainers and inspection options around, invest in Houston Admiral Services. We are extremely proud of the 31-point inspection we’ve created for our customers and clients. Are you ready to start making sure you’re taking proper care of your air conditioning units? If you don’t know how you’re going to clean it and get the most out of it for good, our team can help. Make sure you invest in our regular maintenance and inspection plans; our team will be there to provide you with the attentiveness you deserve. There are few companies that put in the time, energy, and attention to detail that Houston Admiral Services does. We care about Houstonians, Texans, and Americans alike. We understand that our great region doesn’t always have the greatest weather, and that’s perfectly fine. Thanks to modern technology, there are tons of different things you can do to make sure your life is still livable. When you’re prepared to start doing things differently while making the most out of your air conditioning it, we can help you. Are you sick and tired of having to put money on the same things that keep on getting your problems, but not for the long term? Band-aid solutions are never good, and it’s always better to play the long game and see what’s out there. While you may have struggles fixing your systems without the help of a professional, did you know that you could maintain it? This is a very fascinating concept that is sure to take over the scene in no time. What if there was some type of way you could have the privilege of preventing repairs? Maybe there was some type of entity you could invest in to make sure you have the right inspections and services? This is something that you will easily be able to find when you choose Houston Admiral Services. We have a ton of different options available for any type of air conditioner. You’re probably interested in making the most out of your system. Ensure you have the right resources by calling in our team. Our Tomball Air Conditioning Service Repair is absolutely perfect when you’re trying to make sure your AC units stay in the best shape possible. Our team understands that you might not know what to do about your AC struggles, and we’re ready to help you make the most out of your setups. If you want more information on our business, call us today at 281-876-9400. Our team is always here to provide expert attention and performance for you and your many components. Ask us about our free estimates and special offers! 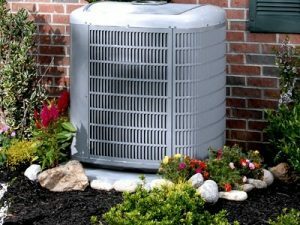 With Houston Admiral Services on your side, you’ll never have to worry about your AC units again. Our residential and commercial experts are here to help you retain your heating and cooling capabilities. The city of Tomball is located in Harris County of Texas. We are consistently seen as a top notch city for our gas-powered appliances. The bills continue to be low for our residents, and it’s a great draw for those interested in relocating. If you’re trying to find affordable real estate, visit Tomball. Our suburban areas are some of the safest and most affordable in their class!